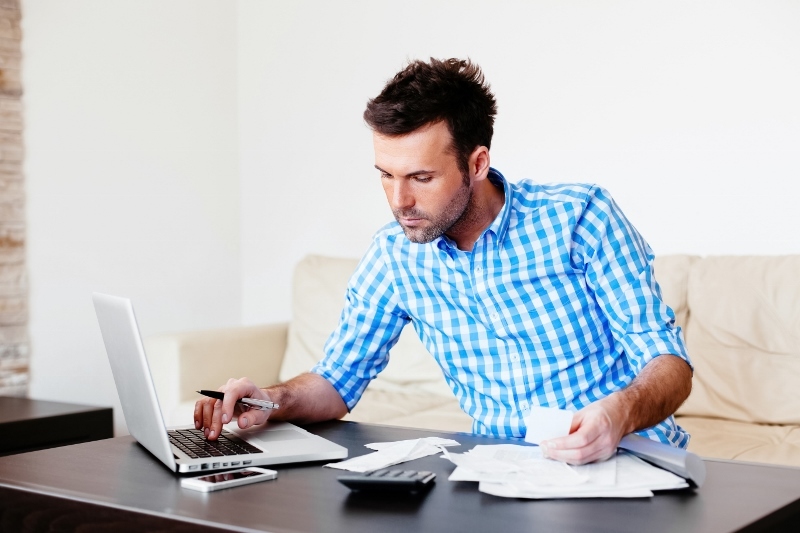 If you’re like us, you know how important electricity monitoring can be when trying to meet energy cost and consumption goals. Traditionally, homes aren’t equipped with a way for you to see how much electricity is being used. But with the increasing popularity of connected home devices, it’s never been easier to feel at home while away from the house. With learning thermostats, like Nest, you know that your living room is a cozy 73°F (23°C). And with video monitoring, like DropCam, you know your Golden Retriever is asleep on the couch, instead of munching on it. 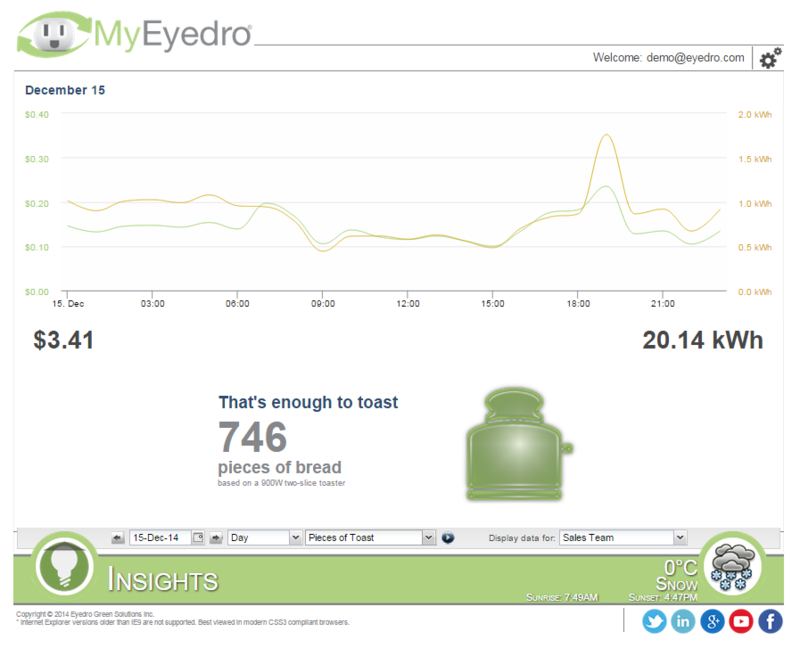 Now, with electricity monitors like Eyedro, you know your home consumed 20.14 kilowatt hours of electricity today. 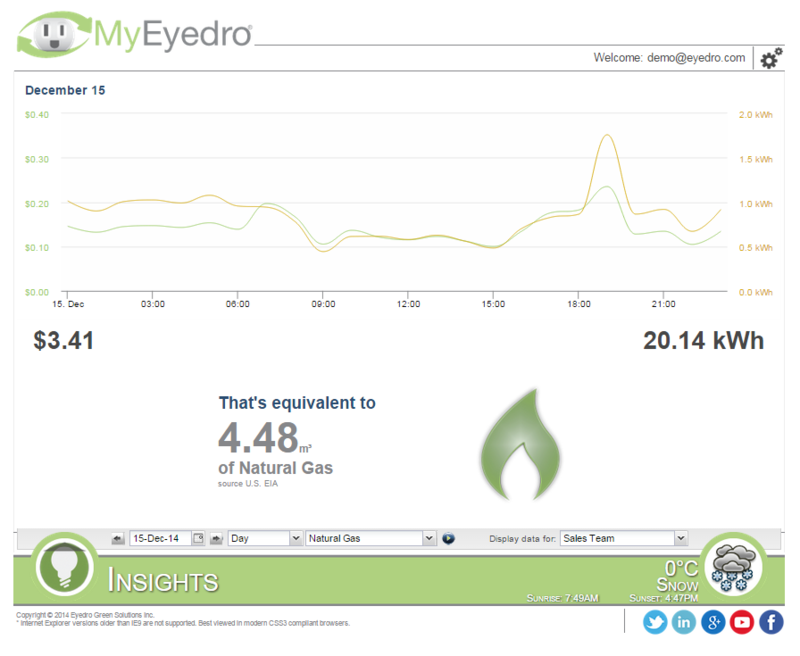 While Eyedro always provides your electricity consumption in terms of cost, we wanted to give you a way to put energy into terms we all use every day. 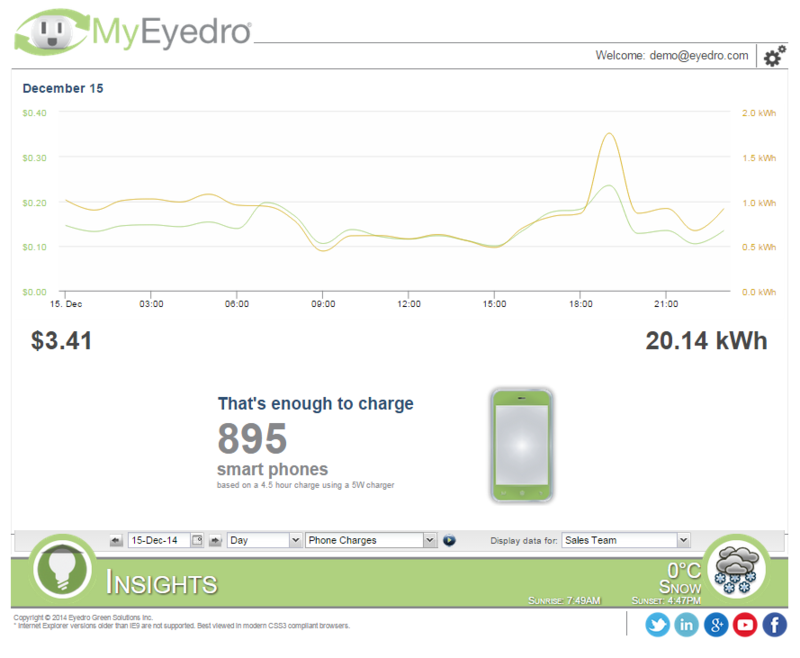 This is exactly why we created the MyEyedro Insights plugin. This handy tool helps you put your electricity use into terms you already know and love. The values are based on the amount of energy produced (or required) for the given unit. 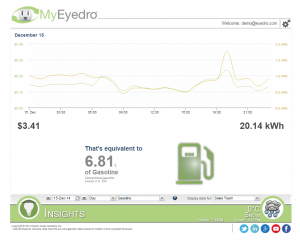 So if you’re interested in how much gasoline you would have needed to power your home yesterday, we have that. Or maybe you want to measure your environmental footprint. 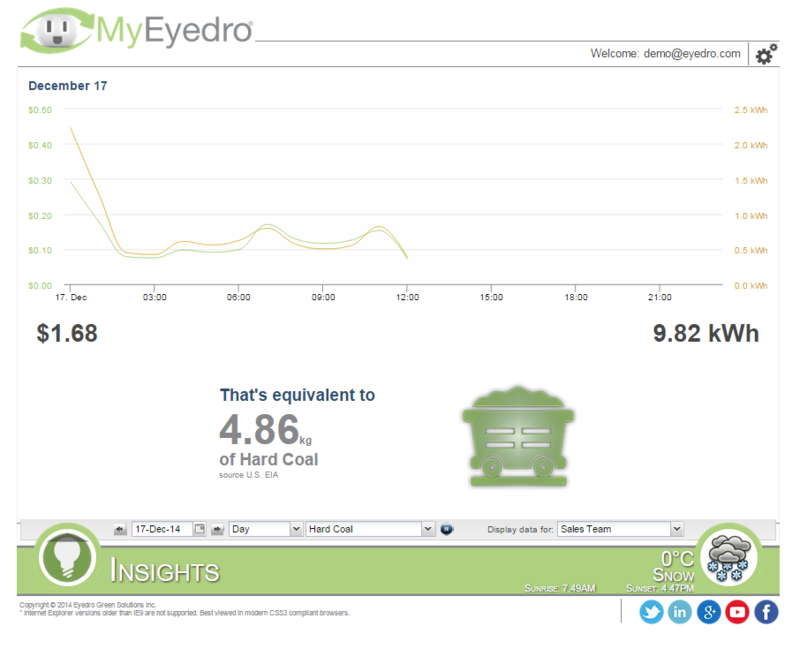 With the Insights plugin you can see how many kilograms of coal you would have used. Maybe you’d like to see how many slices of bread you could have toasted. We have that too. The MyEyedro Insights plugin helps put energy into context, giving you the power to make more informed energy management decisions in the home. 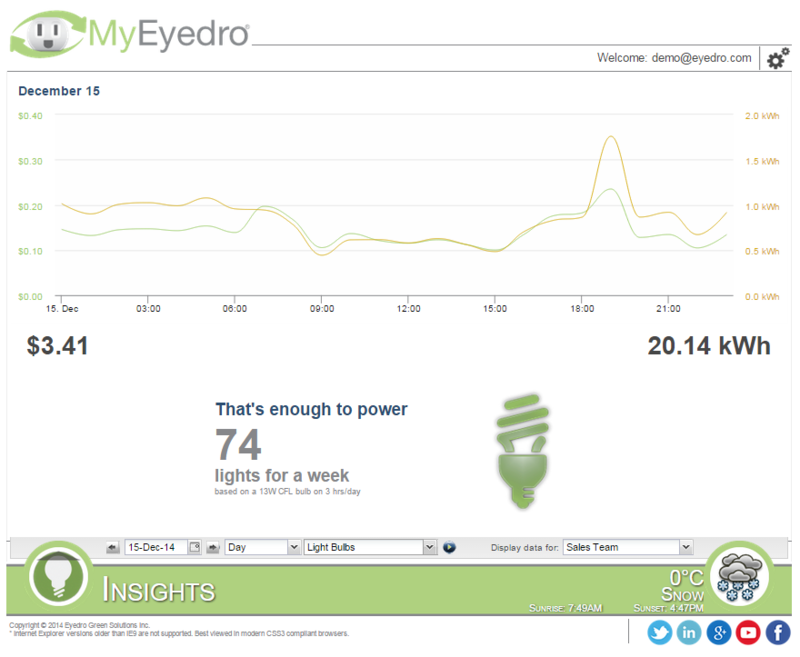 Interested in keeping an eye on your home’s electricity? At Eyedro, our top priority is making sure that your experience is legendary, so we wanted to take a moment to let you know about some exciting changes. KITCHENER — Auston Gough figures he saved about $50 a month on electricity bills this past winter after he installed devices that measure his hydro usage by the second and relay the information to his tablet. Gough lives in a two-bedroom apartment above King Street in downtown Kitchener and was spending about $400 for electricity every two months this past winter. His place is heated with electric baseboards and has a dishwasher. 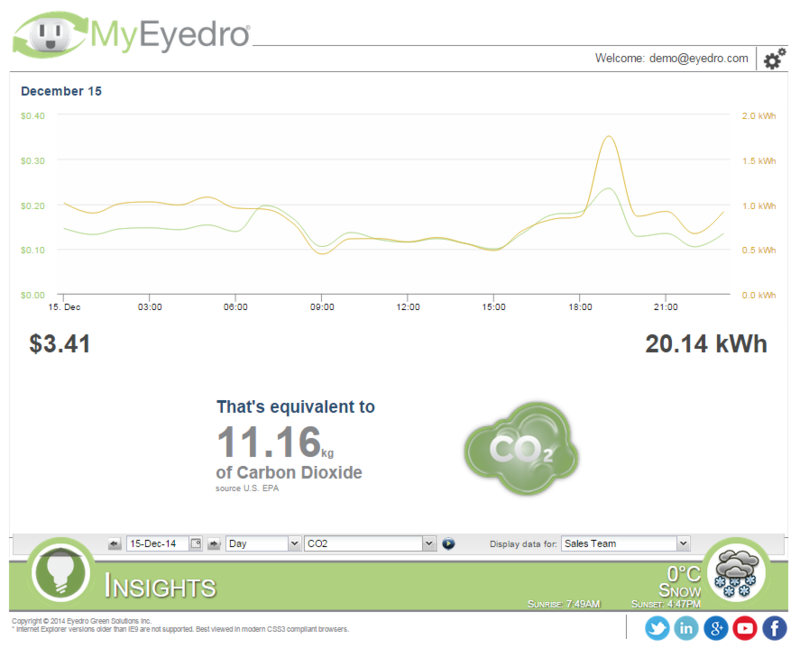 Gough spent $129 for a kit from Eyedro Green Solutions Inc., a new company in the Communitech Hub. He clamped sensors on the main line feeding the electrical panel, and then hooked up a small box that sends detailed information on electricity consumption to his tablet. Gough used to keep one baseboard heater cranked up high and the other three almost turned off. He quickly learned that doing that was hugely inefficient. He changed the settings so that all the heaters run intermittently. Gough learned that the four light bulbs in the bathroom used as much hydro as his dishwasher. So he switched to high-efficiency bulbs. He only runs his dishwasher when electricity rates are lower. “I just made some fairly minor changes and I was using less power, which is great,” Gough said. 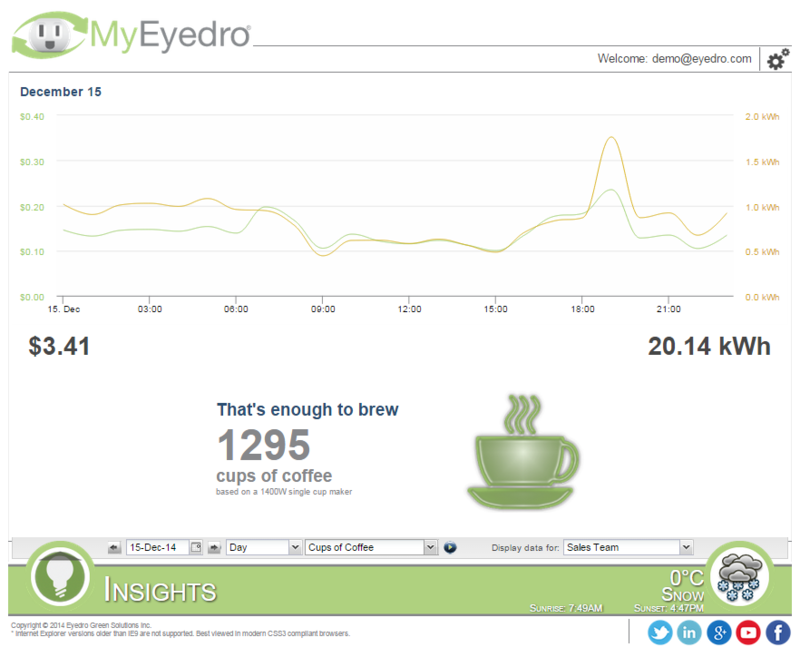 The downtown bartender is an early adopter of the technology developed by Eyedro. The company already has customers — residential, institutional and industrial — in 10 countries. 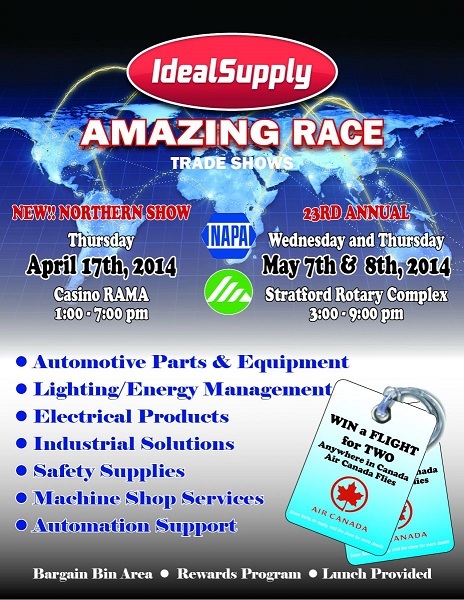 Visit us at the Ideal Supply trade show in Stratford, Ontario on May 7 and 8, 2014. We’ll be sharing a booth with the Ideal Supply Energy team. Visit us at the Ideal Supply trade show at Casino RAMA Orillia, Ontario on April 17, 2014. Visit us at the Schaedler yesco Expo 2014 on March 24-25 in Hershey, Pennsylvania – Booth 531. We’ll be hosting the “Real-Time Electricity Monitoring” seminar on March 24, 1pm. If you’re unable to attend but still interested in the seminar then please contact us to schedule a 1 on 1 webinar at a time that fits your schedule (info@eyedro.com). 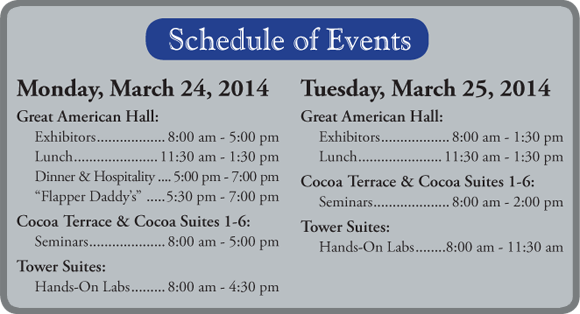 Schaedler yesco Expo 2014 schedule.